Vanish Vein and Laser Center is located in Naples, Florida and offers unparalleled quality when it comes to vein care. We use Terason 3000 ultrasound technology for thorough venous duplex assessments. Our highly experienced registered vascular technicians perform the exam where it is then analyzed by Dr. John Landi. He is certified by the American Registry for Diagnostic Medical Sonography as a Registered Physician in Vascular Interpretation (RPVI), and by the Cardiovascular Credentialing International Society as an RPhS (Registered Phlebology Sonographer). You will be diagnosed and advised on a treatment plan all in the same appointment. Vanish Vein and Laser Center introduced La Bella Mia Medical Spa in 2005, a full service day spa. At Vanish Vein Center, we use a simple but effective multi-step program to treat the effects of aging. Each of the services in our program is crafted to address specific issues age-related cosmetic issues. Dr. John Landi is board-certified in general surgery and was trained at Metropolitan Medical Center in New York. He completed his fellowship training to become a vascular surgeon at Downstate Medical Center in New York. He's served as the Professor of Surgery, Director of Surgery and Chief of Vascular Surgery at Mount Vernon Hospital in New York and former Chief of Vascular Surgery at Naples Community Hospital in Naples, Florida. 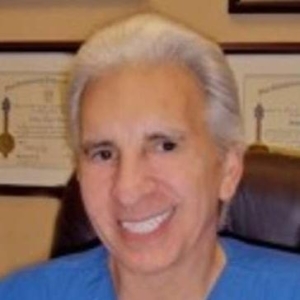 He is also a Diplomate of the American Board of Surgery, a Fellow of the American College of Surgeons (FACS) and an Associate of the American Academy of Cosmetic Surgery. Dr. Landi is also the Medical Director of La Bella Mia Medical Spa Naples, Florida. Thank you for contacting Vanish Vein and Laser Center. For a quicker response, call directly at (866) 602-1563 during office hours.